Who was the mysterious Queen of Sheba? What was the secret to Samson's astonishing power? What caused thousands of pigs to run off a cliff? Mysteries & Intrigues of the Bible answers these and other questions based on strange but true stories from the bestselling book of all time -- the Bible. It explores the lives of eccentric people and prophets, as well as those of notorious kings and queens. It looks behind the scenes at amazing events -- from the sudden fall of Jericho to Belshazzar's mysterious death to Jesus's fascinating miracles. It considers curious connections among the Bible's records of such events as "miraculous births" and "fishy stories." It also answers some of the most frequently asked questions about the Bible, such as, "Doesn't the idea of miracles conflict with the natural laws that govern this world?" and, "Do people have guardian angels?" 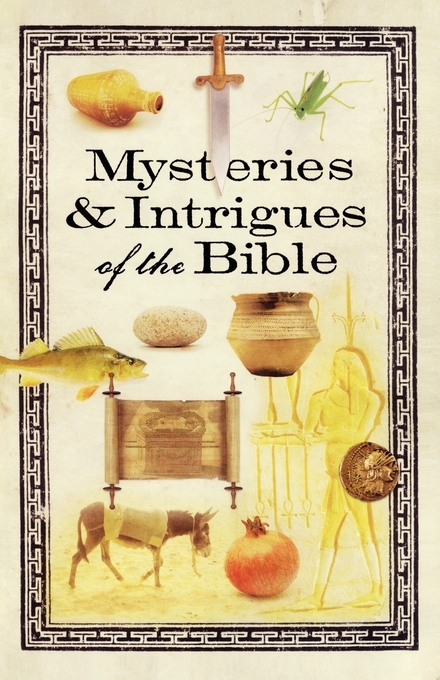 Intriguing stories, fascinating charts, astounding facts, and interesting answers to commonly asked questions -- all with biblical references -- make Mysteries & Intrigues of the Bible an entertaining and informative book for the entire family!